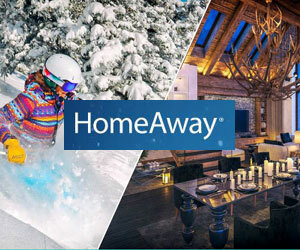 Find your own ski in and out by owner rental in Keystone -click on this link! A large television in the living room and a gas fireplace ensure that you're able to comfortably relax indoors. Large sliding glass doors in both the living room and and bedroom provide access to a spacious balcony that looks out onto a creek, town and the mountains. 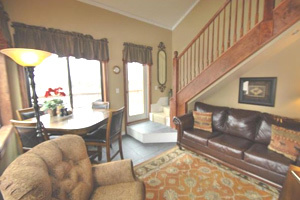 Luxury Slopeside Studio Getaway, Sleeps 4, 1 Bedroom, 1 Bath- Ave nightly $169 --- Book it instantly! VRBO 971162-Just steps from the slopes, Mountain House Slopeside Condos has just undergone a complete facelift, including brand new windows, doors, patio areas, hot tubs and fire pit. The heated underground parking lot has an elevator to take you to our top floor condo. Our completely remodeled studio condo is the perfect place to relax after a day of mountain adventure. The balcony boasts great views of the slopes and Snake River. The living room features comfortable high quality furniture. Your entertainment needs are covered with free cable and DVD player, as well as game systems and board and card games. If you need to soak after a day of adventure, you are just steps from the complex’s two brand new hot tubs and fire pit! No worries if you need to stay connected — free Wi-Fi! Slopes, Size, Privacy Location! 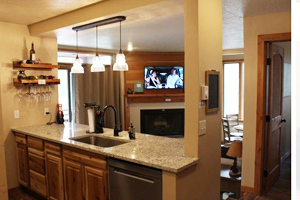 Walk to Slopes & C-1 bed, 1 bath, slps 6, from $75/nt - Book it! Gorgeous remodeled condo on keystone slopes, Sleeps 7, Steps to Slopes & Downtown- Ave nightly $201 -- Book it! 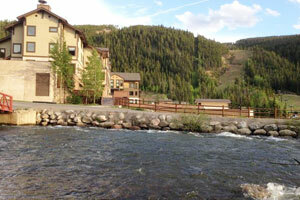 VRBO 1091604-Looking for an Awesome Vacation Rental in Keystone Colorado for the Winter/Summer! Well here it is! 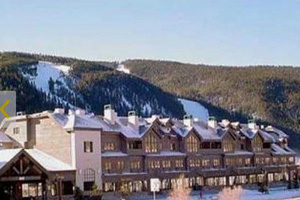 A Beautiful 2.5 bedroom Condo, less than a mile of The Keystone Slopes. Enjoy the amazing views from every room; to the east see Keystone or west to Gore Range and Buffalo Mountain. Sleeps 7 plus a baby crib (this does not include the living area), No Pets, non-smoking of Any Kind per our HOA. Offers year round fun with ice skating, paddle boats, fishing, hiking, biking, easy walk to the Keystone Conference Center, and of course SKIING/Tubing made easy with the Keystone Shuttle, just Walk out side and jump on the free shuttle. Also Includes a Pool/Hot Tub/ Sauna / internet /cable /firewood (unlimited). 3-Bedroom Condo w/Private Laundry, Private Hot Tub, Very Short Walk to Lifts, Sleeps 10, 3 bedrooms, 3 baths, nightly $238 -- Book it instantly! VRBO 326547-This very spacious 1,830 square foot 3-bedroom, 3-bathroom condo sleeps ten and is less than fifty yards from the Peru and Argentine ski lifts. It features a wood-burning stove, a private indoor hot tub and two balconies. The entryway has mounted hooks, cubbies and a bench for storage of vacation gear. The living room features a large sectional, a flat screen TV and a wood-burning fireplace. The sofa pulls out into a bed, and additional sheets and blankets can be found in the closet. 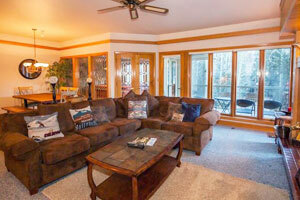 Off of the living room is access to a private balcony with views of the ski runs. Next to the balcony access you’ll find French doors that open up to the private, indoor hot tub. Perfect for relaxing sore muscles after a long day outdoors. The master bedroom features a king-sized bed with Ivory White Bedding, a flat screen TV and its own private balcony. The en suite bathroom has double sinks and an oversized glass shower with two shower heads. The second bedroom has two double beds with Ivory White Bedding, a television and an en suite bathroom. The third bedroom has a queen-sized murphy bed and access to the guest bathroom. When this bedroom is not being used for sleeping it can be used as a den.